With wireless Bluetooth connectivity, long battery life, & a sample rate of 1000 Hz the API Ballbar is the essential tool for CNC performance verification. By utilizing the Wireless Ballbar in your CNC maintenance cycle, you can identify machine errors & prevent machine tool deficiencies that ruin production processes. The Ballbar is a simple, cost-effective solution that is designed to improve overall machining quality. The Ballbar will reduce scrap, setup times, and production costs. Connect wirelessly to the API VeriComp Software with Bluetooth connectivity and 8 hour rechargable battery. 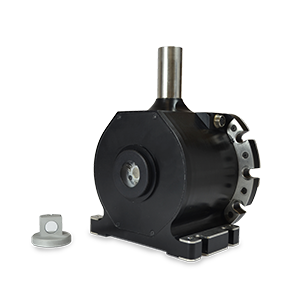 Capable of measuring lathes or CNC machines at any sweep angle within the 360o circular path to identify and diagnose servo and mechanical errors. Add Ballbar Performance Verification to your regular maintenance cycle to identify and predict machine errors, reducing scrap, setup times, and production costs. Perform multiple measurements in a single, simple setup to identify all machine servo errors with an intuitive analysis. Complement your API suite of products with the XD Laser and Spindle Analyzer for a complete CNC solution.